What is the latest trend in plastic surgery you ask? You say you’re out of shape because you have had three children. You say you want to shift your breasts and stomach back to pre pregnancy days. 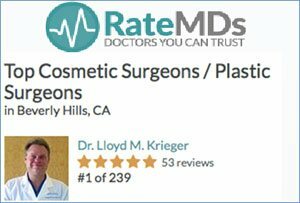 Enter Dr. Krieger of the Rodeo Drive Plastic Surgery Group. 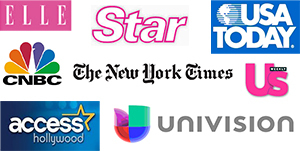 The good doctor has the only plastic surgery office on Rodeo Drive, a stones throw from Chanel, Dior and Tiffany & Co. You may have seen him featured in Fortune, The New York Times, Wall Street Journal, Univision, Access Hollywood and other media. He specializes in women who have lost their shape due to pregnancy. All surgery is performed in his AAAHC and Medicare accredited operating rooms with fully staffed recovery suites offering the best care available though it looks more like a boutique than a doctor’s office. He maintains operating privileges at both U.C.L.A. and Cedars-Sinai medical center. Quotes Dr Krieger, “We designed our center to combine the convenience of storefront shopping with what I call the Four Seasons treatment. Because cosmetic surgery is elective, people are looking for a first-class experience, and that’s what we offer at our center.” He includes his popular Rodeo Drive Belly Button™ procedure with every tummy tuck helping to create an attractive stomach. Many of his patients are from out of town and want to combine the surgery with a shopping vacation in Beverly Hills and Los Angeles, spa treatments, or new hairstyle. Dr. Krieger’s staff can help make these arrangements. Rodeo Drive Plastic Surgery specializes in Tummy Tuck in Los Angeles and all California cosmetic surgery procedures. To learn more about The Rodeo Drive Mommy Makeover™,The Rodeo Drive Belly Button™ or The Rodeo Drive Plastic Surgery Transformation Vacation™, or any other information , please contact us.